Termite management systems are designed to combat the group of termites known as subterranean termites. The colony sites are located usually in the ground, sometimes in the root crown of a tree, on a pole, or in trees with their movement being through the ground in tunnels called galleries. They forage for and feed on plant materials or things made from plant material containing cellulose. There are over 350 species of subterranean termite in Australia with around 30 of these species being problematic for our buildings. The remainder feed on grasses, tree litter and other materials. Subterranean termite management systems fall into 3 main categories. 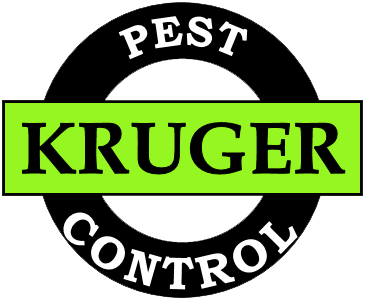 Firstly chemical; which relies on soil treated with a termiticide placed against the vulnerable entry areas of a building to block, cause colony elimination or repel termites depending on the product used. Secondly Physical which use various forms of materials to block concealed termite entry to the venerable areas of the building and force them into the open so as to be visually detected. And thirdly baiting systems which rely on a series of stations strategically placed around the building to intercept termites and cause colony elimination when baited. Buildings constructed prior to January 2001 were primarily protected at construction using chemical subterranean termite management systems particularly when slab on ground construction was used. These types of systems require regular maintenance and periotic reinstallation. They are also venerable to the disturbance of the soil which contain the system whether by gardening or other activities. Buildings constructed prior to July 1995 usually had organochlorine type termiticides used which were far more persistent in the soil than the products available after the time they were deregistered from use. These systems required maintenance and periotic reinstallation as well and would now be well out of date. In January 2001 the use of chemical subterranean termite management systems was removed from the Building Codes of Australia unless able to be replenished. Physical forms of subterranean termite management systems have been widely used since this time. These systems don’t keep termites out of buildings, their purpose is to force them into the open so as to be visible and then dealt with. Vigilance is required with these types of system and periodic professional inspections are essential. All too often subterranean termites gain entry into our buildings right across mainland Australia with our local areas not being spared. Economic loss usually goes hand in hand with termite activity within buildings. In the event that termite activity is discovered within a building it is extremely important that it is left undisturbed and professional assistance is sought. When disturbed subterranean termites will close down these workings and withdraw as a defence measure. The opportunity to target the termite colony responsible is then lost and sometimes leads to entrapment of termites within the building structure. It also can lead to a false sense of security, as it can appear that the termites are gone, then they often return with a vengeance. Click here to contact us for Termite Management Services!